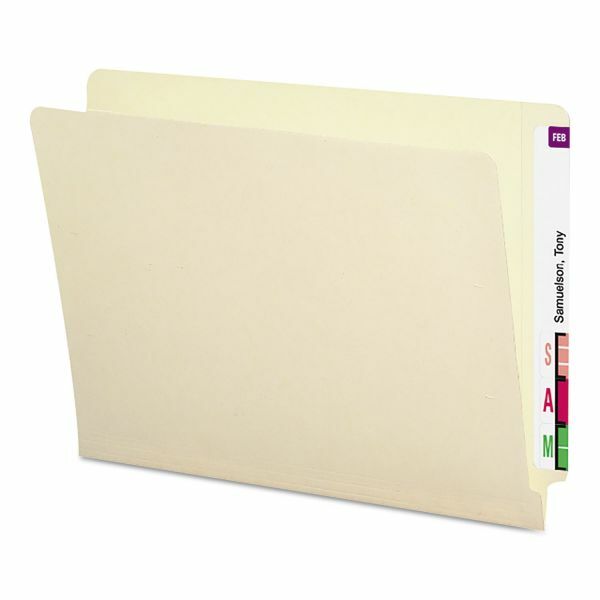 Heavyweight Manila stock and double-ply tabs withstand the frequent handling of an active open shelf filing system. Straight cut end tabs are embossed for easy label placement. 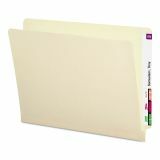 Smead Heavyweight Folders, Straight Two-Ply End Tab, Letter, Manila, 50/Box - End Tab Shelf-Master Folders with Reinforced Tabs are the industry standard for efficient shelf filing. Feature double thick tabs for strength, embossed lines for easy label application, and undercut front panels for label readability. Popular for medical, dental and hospital filing systems as well as for large records management systems in financial and insurance firms. Made of 14 point manila stock. Scored for 3/4" expansion. Have 1/2" wide tabs and 9-1/2" high front panels.